We are seeing the use of solar energy increasing every year, at the expense of coal which is slowly, but surely being replaced – according to Spencer Dale, BP chief economist, it doubles its capacity every 20 months. How can solar technologies be made more attractive to businesses, institutions and, most importantly, regular citizens? One answer to this question has been provided by Elon Musk of Tesla, who has designed a roof made entirely of solar panels. Solar City, an American provider of solar energy systems, sees the opportunity for a new market through this, as around 5 million people in the US replace their roofs for various reasons each year. Currently, a small percentage of those people also build solar panels, and they have to add them on top of the regular roof – it’s quite hard for them to be convinced to do so. When they install regular solar panels, people are usually already connected to the grid, and they still need to use it when it gets dark as the energy isn’t stored by the panels. Musk wants to resolve this by using Tesla’s Powerwall to store the energy generated by the solar roof – he says ‘solar and battery go together like peanut butter and jelly’. He is supported by the US Department of Energy, which awarded $18 million to projects that planned to use a combination of solar panels and battery packs to allow renewable energy replace fossil fuels. Many rural solar farms have been built in the US, but cities are also starting to look towards solar to cover their energy needs. Solutions vary, from cities installing solar panels in their jurisdictions, like Newton, Massachusetts, to buying solar panels from existing solar farms, and even to opening their own solar energy storage systems – Norwich, Connecticut has converted a former dairy farm into a solar cluster, containing over 15,000 panels. 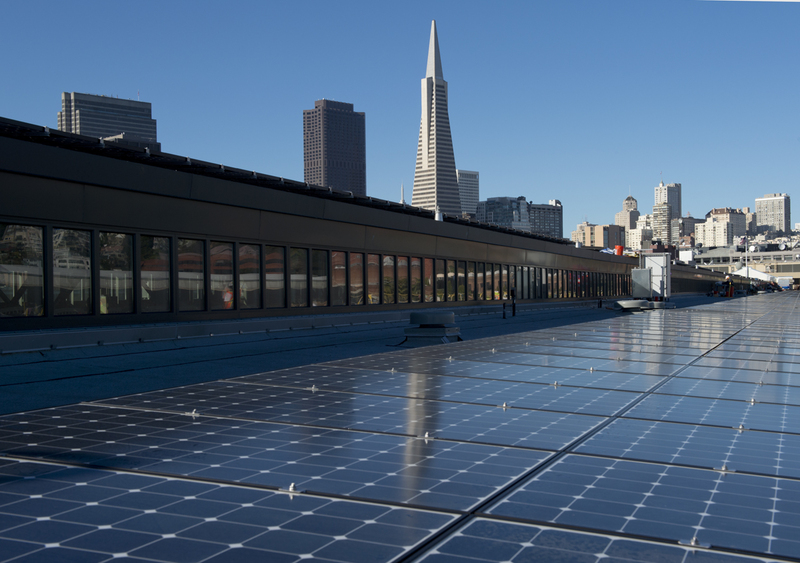 In addition to these actions which are still relatively isolated, other legal measures have been taken by municipalities that show how much potential solar power has – for example, San Francisco has passed major legislation that makes solar panels mandatory on new buildings that are less than 10 stories high. More encouraging news comes from researchers who claim to have found ways to make solar brighter, more efficient and more affordable than ever, by recycling photons within a solar cell, according to a new study. This means that smaller and fewer solar panels will be needed to produce greater amounts of energy, which would certainly encourage more people to install them in their homes, and they could be more convenient to use in wearable technology and consumer electronics. The world leaders in solar energy are the United States, China and Germany, but lately even oil-producing countries such as Jordan and Saudi Arabia have become aware of the inevitability of a post-oil economy and started using solar power.